When you create something as you are inspired, you feel a sense of completion - a purpose has been resolved; a moment defined. The essence of your being is molded into whatever form you just created. Creativity can manifest in the form of art, or it can exist in the form of scientific thoughts; it can derive math problems, or it can determine a cause of action. Creativity is innovation, and innovation is what drives humans. I like to create the practical and the abstract...in many forms, and lately, I've been inspired to create physical art; useful art - something that can be replicated easily, but yet is something unique and admired. 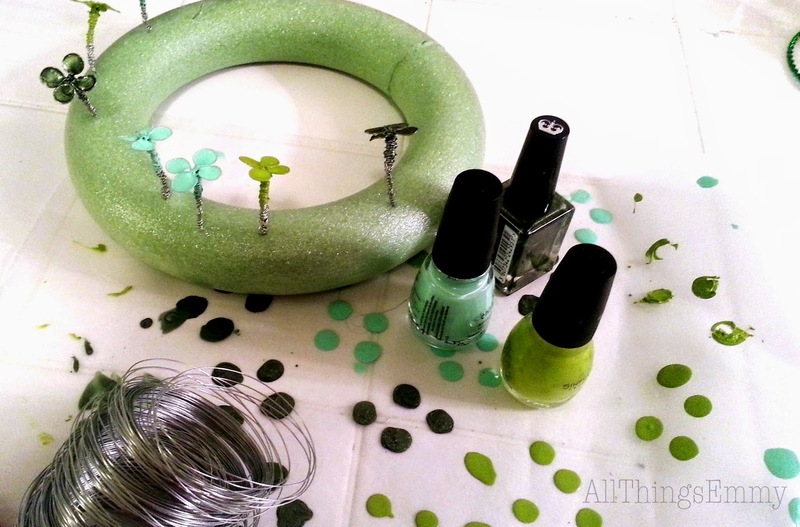 One of the things that I've created recently are these little clover charms for a St. Patrick's Day decoration. I plan on using them in some festive decor and flair - what do you think? The process on how to create these charms will be shown to you in an upcoming tutorial on my AllThingsEmmy YouTube channel, so go subscribe. What do you do to release your creativity? I'd love to read about it below in the comments.